Return to Uncanny Valley ...the remarkable town supposedly destroyed in 1948, where paranormal is normal and the unusual is traditional. Now it reaches out from the past again through an extraordinary bundle of journals and documents that chronicle a season of the community’s darkest hours. It is 1909, and Uncanny Valley’s tranquility is shattered by greed and distrust after the offer of a full-scale buyout by Tarkington Mining. Yet when the residents take blind Ben Driscoll’s advice, “Don’t sell,” an even greater shadow quickly descends – one that uses human weakness as a weapon – and its purpose is darker than anyone can imagine. Together, Norton Weiss, Emmett Fielding, and Roger Burlington try to counter the growing incidents of intimidation and destruction. But after an evening of unspeakably brutal murders, the whole town – both the living and the dead – has to strike back, using every strange skill and hidden secret at its disposal. 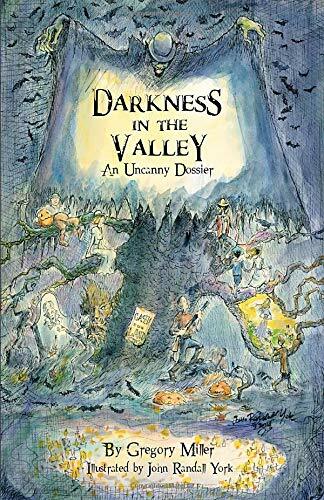 With Darkness in the Valley, author Gregory Miller has crafted a spellbinding novel, bringing back familiar characters from The Uncanny Valley and introducing many new ones, all of whom are indispensable to this small borderland community balanced precariously on the edge of two worlds.